Changing keyboard language is necessary when you have brought the computer from another country. Or if you want to chat with others in their language then you don’t want to spend a whole lot of your time searching for the proper alphabets and characters. So, if you want to chat or type in another language on your computer but don’t know how to do it? 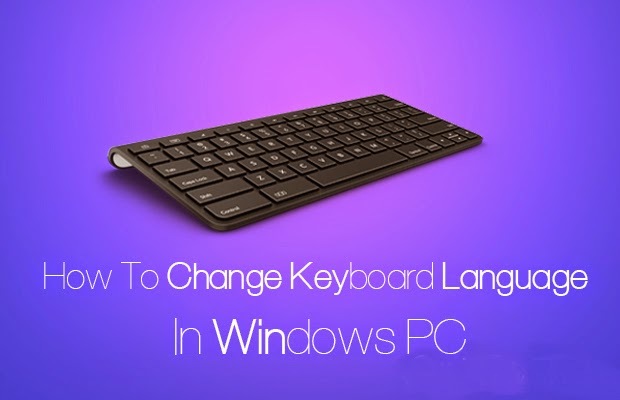 Then, don’t worry because I have created this tutorial in which I will teach you that how you can change keyboard language in your Windows PC. Changing keyboard language on Windows is very much easy and simple and you can also switch the keyboard language with just a single click of your mouse. So, without wasting much of your valuable time, let’s get started with our tutorial. So, follow the below given steps to change keyboard language in your computer. First of all, click on Start button and then go to Control Panel. Now, in Control Panel, click on the Clock, Language And Region option. Then, click on Region And Language option. It will be the second number option. Now, select the Keyboards And Languages tab and then click on Change Keyboards… option. After that, a new dialog box will appear. Now, in the Installed Services section, click on Add button, if you want to add another language to your keyboard or if you want to remove an old language then simply select that language and then click on Remove button. Now, if you want to add another language then click on Add button and then a new dialog box will appear in which you have to select any language that you want and the hit OK button. Then, click on Apply and OK button. After that, again click on the OK button. Now, to check that it works or not then you will see a small EN sign to the right-hand side of the Taskbar. Then, click on that small EN button and then it will open up a menu, in which you will see the language which you have just installed, now select that language to use it on your keyboard. That’s it! You are done! Now, you have successfully add another language to your keyboard. So, this was all about how to change keyboard language in your Windows PC. I hope that now you can easily change your keyboard’s layout in your Windows PC. If you have any queries regarding this tutorial then do let us know, we will try our best to resolve them. And plus, if you’d like this tutorial then do share this with your friends and circles too.